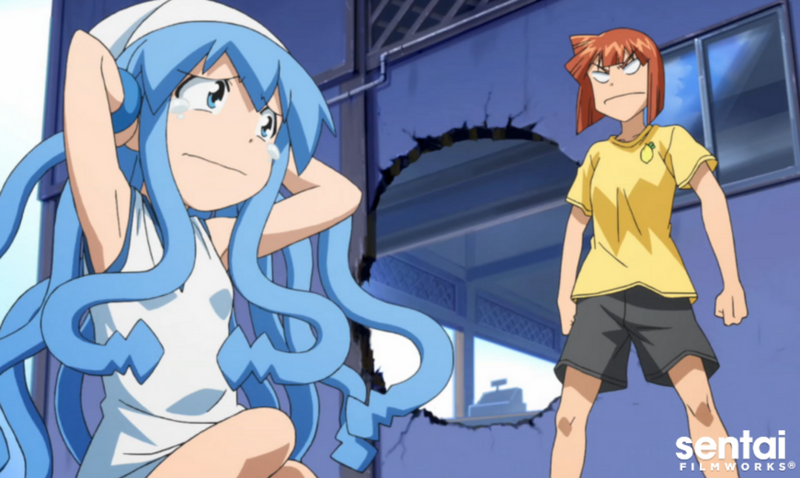 HOUSTON, OCTOBER 4, 2016– Sentai Filmworks is proud to announce its acquisition of the Squid Girl franchise for North America. Sentai’s acquisition will extend availability of the series, including seasons one, two, and the OVA’s to home video, television, and select digital outlets. The cutest little tentacle-haired invader from the sea, Squid Girl, has come to subdue humanity! Unfortunately, she’s in hot water with the Aizawa siblings after a demonstration of her squid powers destroys their restaurant, the Lemon Beach House. Now, she’s forced to work as a waitress for them until she pays off her damages. Between her aquatic puns, bickering with the Aizawa sisters, tiffs with customers, and the many misadventures that come with seaside life, Squid Girl has her hands, and her tentacles, full! The original manga series by Masahiro Anbe was serialized in Akita Shoten's Weekly Shōnen Champion for nearly a decade from 2007 to 2016. Tsutomu Mizushima (Girls und Panzer, SHIROBAKO) directed the animated series, with series composition by Michiko Yokote (RIN-NE, SHIROBAKO). Animation production was handled by diomedéa (Gingitsune).